The set of coherent functional furniture reflecting baby's natural development stages is the result of analyzes of the information based on observations and discussions with parents. 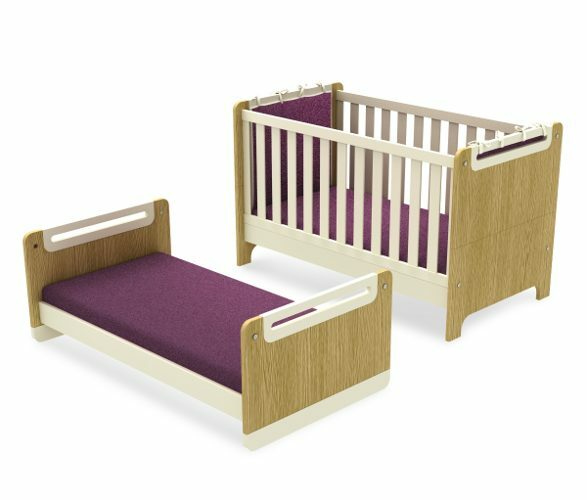 Furniture from “First” collection may accompany baby from his/her first moments – starting with Add-on crib, through the Cot “First”, to the comfortable bed. 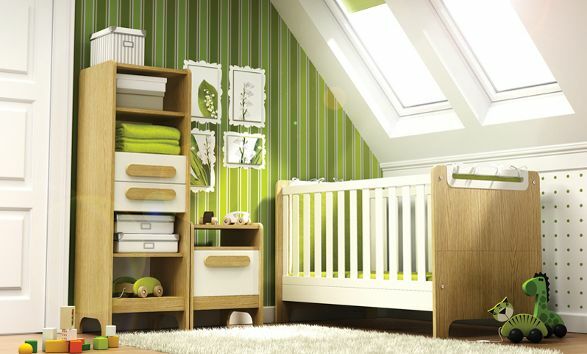 Apart from standard child's room furniture such as chest with changing table top or a two-door wardrobe, there are more universal furniture either. They fit perfectly to the kid's room, to the bedroom or even to the living room. 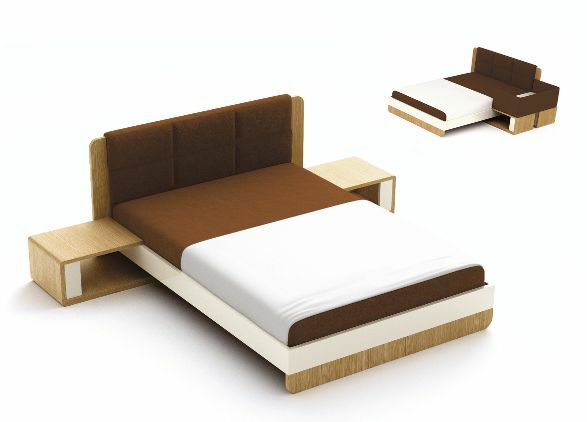 The collection includes also comfortable beds for adults in two sizes and a desk. Cot bed “First” (for mattress 140x70cm). Due to the special construction the cot can be transformed in a simple way into a bed to provide a comfortable place to sleep even for a 9-10 years old child. If you intend to replace your child's bed earlier, you can choose a classic Cot “Goo” (for mattress 120x60cm). 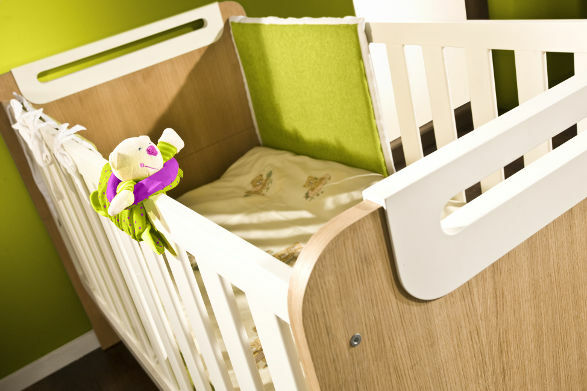 Add-on crib – as a set with parents' Bed and Beside shelves is a very practical solution especially at the beginning of breast feeding (when the baby eats few times per night). It offers calm sleeping to the mum and to the baby by providing the baby his/her own safe area while remaining close to the mum. 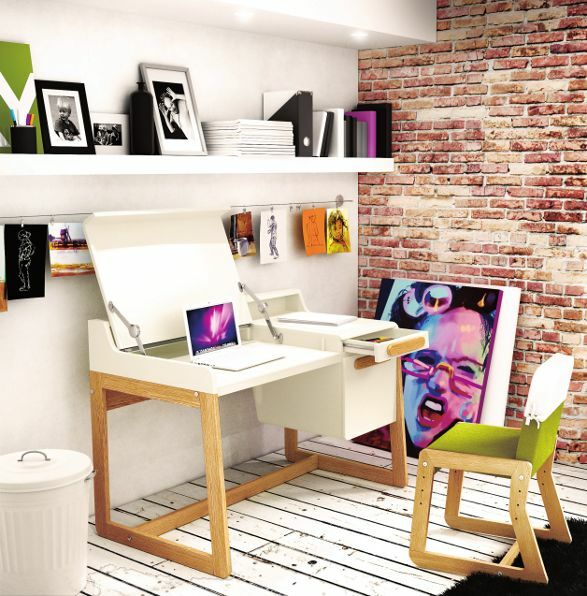 Desk “First” is an example of function and aesthetic combination. Equipped with a special lifted top (under which you can place your laptop), easy to reach stationery case and (in extra option) voluminous container. Would be a perfect multifunctional home office (for a mum who wants to work and bring up baby). “First” collection is based on the finest quality materials,manufactured with high regard to environment protection issues. It is a proposal for the ones who value naturalness and ecology in their surrounding. 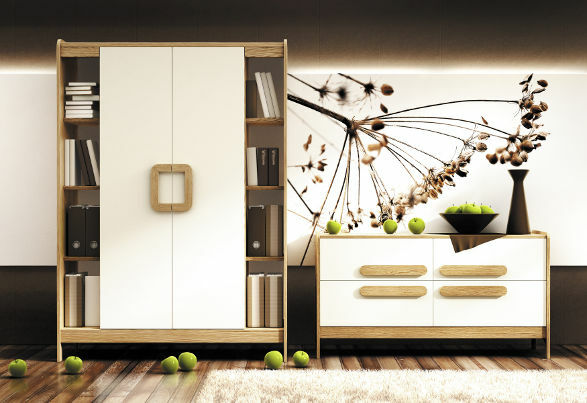 Similarly to other “Timoore” furniture, also in the “First” collection, the great importance is put on safety. All corners, which may cause potential danger, are rounded, additionally, oils and vanishes used in manufacturing process are neutral to child’s health. Gentle, harmonious and limited colour combination has a smooth effect on child’s behaviour. Original handles are made of natural wood, which aesthetically defines the whole “First” collection. As you can see the collection is very well thought out and the furniture may not only decorate your house but also make your life easier and more comfortable. Shelving unit, Beside table and Cot bed "First"